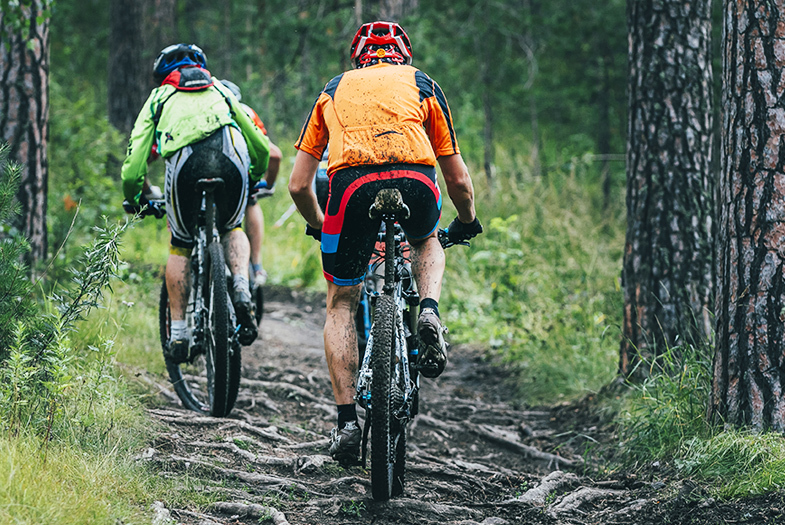 Thanks to ongoing community support, there are a growing number of biking and hiking trails within the Lookout Mountain region. You can also check out Trails.com for a listing of trails in the Lookout Mountain Area. Hot summer days make us want to get into cool water quick. We also happen to know the best fishing holes. Who doesn't love cooling off in a cool pond beneath a waterfall, plunging into a refreshing lake or paddling down the Tennessee River? 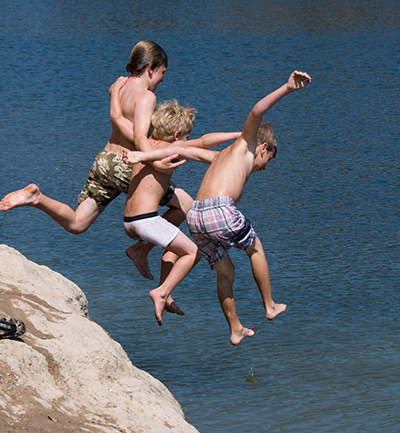 Plan your adventure today by visiting Tennessee Swimming Holes and enjoy what makes our region so special. 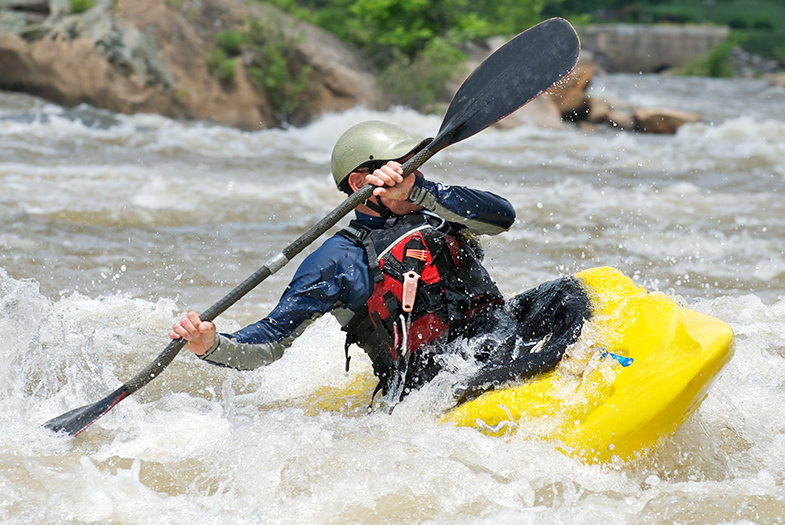 Get inspired by this video of Adam Goshorn kayaking, as featured on Lookout Mountain Living. Bouldering, where a climber approaches a boulder at the ground level and figures out ways to ascend it, is quickly becoming a popular activity in our region. It's a great way to experience the beauty of the woods and get in shape. Lookout Mountain Conservancy is currently working with The Access Fund to develop safe climbing opportunities on Lookout Mountain's natural boulders. Experienced climbers are an important part of this effort. Give us a call to learn more. 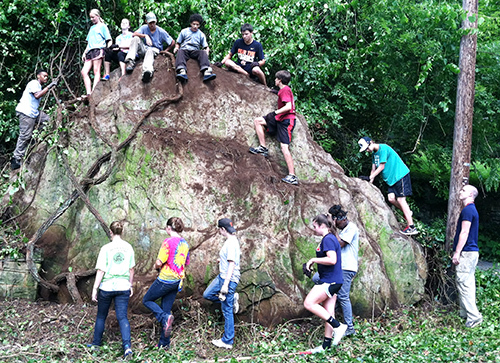 Check out bouldering and other places to climb at Mountain Project’s or Chattanooga Take Me. Caving is an entirely different experience and a natural learning opportunity. When you enter a cave, it's important to be quiet and respectful. For Native American tribes, they were often used for shelter or as spiritual places for worship. For this reason, some caves are closed to the public in order to protect their historic and cultural value. Caves may also be closed in order to protect the fragile plants and animal species that live within them. Ruby Falls is a popular cave destination, considered to be one of the Southeast's Must See tourist attractions. Discover Ruby Falls. Our colleagues at Southeastern Cave Conservancy have been protecting caves for 25 years and have information, history and resources to share on their website.